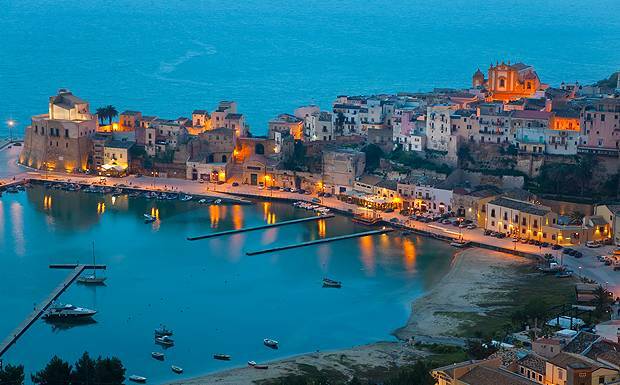 Sicily is best renowned for its historical influence in the ancient world and as being the gateway to the Mediterranean. Its cross-cultural diversity- due to centuries of interactions with foreign states (beginning with the Romans and the Greeks, the Arabs, then Norman and Gothic influences during Medieval times and up through the Renaissance era and beyond)- has shaped not only its cultural and ethnic character, but also its lifestyle in our contemporary era, while still preserving the traditions and social aspects of the cultures which settled there or interacted with Sicily in one way or the other. This includes also the holiday festivities, and it is one of the major reasons why it is a perfect place to go on a holiday with the whole family. What best way than to spend the experience in perfect relaxation, in the midst of the ancient Sicilian wonders, and with a feel-at-home luxury - away from the hustle and bustle of the tourist motels- by renting a true Sicilian villa with a pool for the whole family to enjoy? There are many online resources like WishSicily, that offers a wide choice of Sicily Villas with a pool and comes highly recommended. For families with children, visiting Sicily especially during the holidays, it is a wonderful and highly rewarding experience for both adults and children of all ages. For the parent, it is an excellent opportunity not only to taste on its home soil the culinary delights which make Italy so special around the world (and which in the summer or Christmas holiday offers the traditional recipes that are made available only during that special season of the year), but also to explore the historical sights and true feel of ages gone by; immersing themselves fully in the atmosphere of an authentic, multi-cultural and cosmopolitan center where diversity in art, architecture and society are evident and imbued in every aspect of daily life. For the children, the many events and festivals held at ancient and restored Greco-Roman amphitheaters and in the towns (especially the Christmas ‘Presepe’ festivals and the following ‘Epiphany’ represented by the Befana or ‘Witch’ celebrations held in the towns of the Palermo region, Caltanissetta, and in Mezzojuso, Gratteri, Contessa Entellina and Piana degli Albanesi, Agrigento, Trapani, Caltagirone, Catania, and Ragusa), the wonderful hikes through the many natural Park reserves (such as the Park of Etna, Madonie, Park of Alcantara, Nebrodi, and the archeological park of Segesta) and trekking through exotic while adventurous volcanic locations like Mt. Etna near Catania, and those near the towns of Lipari, Stromboli, Vulcano and Panarea in the Aeolian Archipelago, in the North Coast of Sicily, are not only fun but highly educational experiences, that the whole family will enjoy no matter what age.